Awesome New Additions from Bear Island Designs and other brands. We offer among the largest selections of Native American crafts and jewelry in the region. The Yurok Country Visitor Center & Amphitheater celebrates the fall season with more Native American cultural events and tours that are free and open to the public. Our 3,500 square foot center features interactive exhibits to teach visitors about the Yurok culture and history along with one of the redwood region’s largest retail displays of local Native-made jewelry and crafts. Hands-on adventure guides are also available to help our guests learn more about the beautiful geographical attractions in the Klamath area and the Redwood National & State Parks. The Yurok Country Visitor Center & Amphitheater is conveniently located in Downtown Klamath, California- across from the Redwood Hotel Casino and Yurok Discovery Village. Please stop by and enjoy the opportunity to learn more about the fascinating Yurok history and traditions of the largest tribe in the state of California. 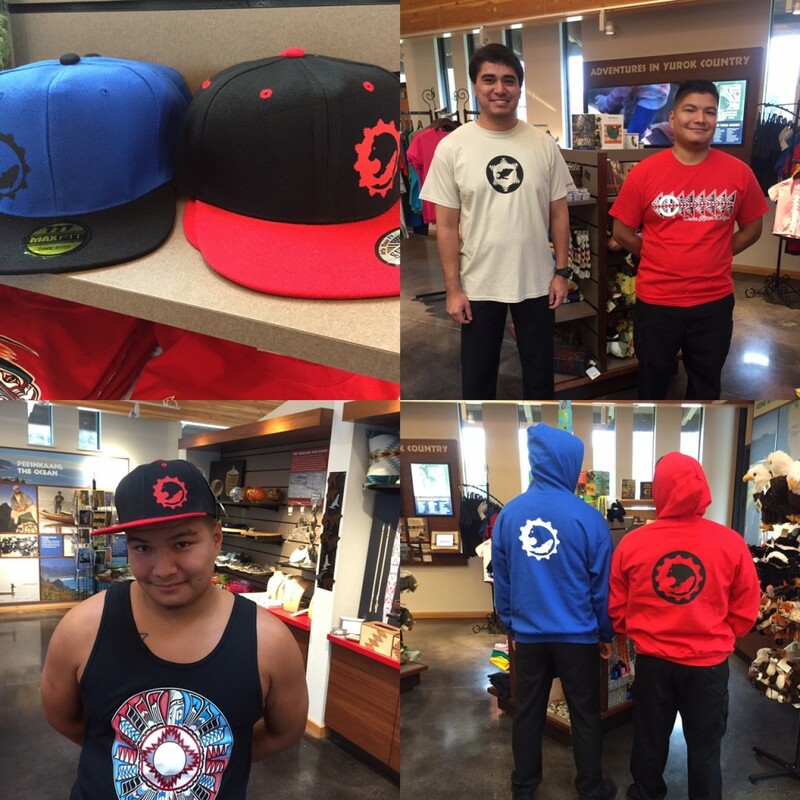 The Yurok Country Visitor Center is now open 11am-4pm Tuesday-Saturdays. We will be closed Sundays and Mondays. Learn How to Carve Traditional Fish Cooking Sticks November 5th-8th! Yurok Tribe members will join Yurok Language & Cultural Specialist, James Gensaw to lead a free educational, hands-on lesson on how to carve traditional fish cooking stick in our amphitheater November 5th-8th. The public is encouraged to stop by The Yurok Country Visitor Center between the hours of 1-4p p.m. during those dates to learn how to carve sticks for traditional fish cooking. The sticks will be donated to the salmon dinner for the Inter Tribal Gathering hosted by the NCIDC in Eureka, CA. James Gensaw is a renowned Yurok Language & Cultural Specialist, Teacher, Storyteller and Native Artist who has been featured in The New York Times, The LA Times, Smithsonian Magazine and again in this 2015 The New York Times article. The Yurok Country Visitor Center will host a special Veteran’s Day event to honor the families of those who lost their lives, while serving in the United States armed forces. This special event will take place on at 1:30 p.m. Wednesday, November 11, 2015 at the The Yurok Country Visitor Center. 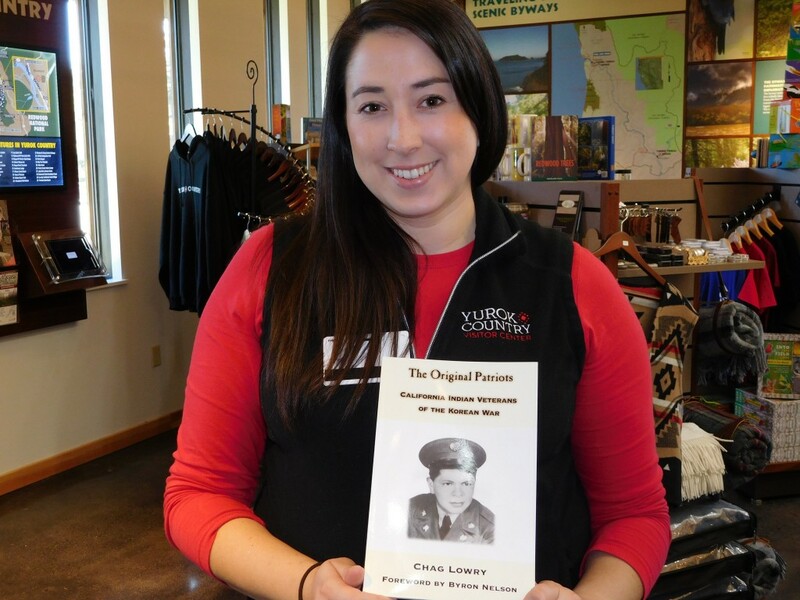 As a sign of appreciation for their sacrifice, the families of our Fallen Heroes that were Killed in Action(KIA) will receive a special gift from the Yurok Country Visitor Center. 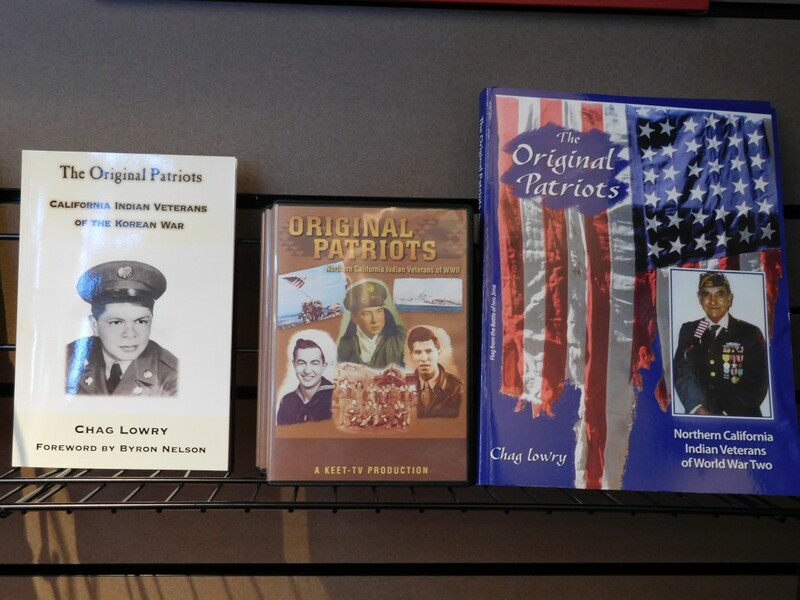 The gathering will also feature a book signing by Yurok Tribal member Chag Lowry, author of The Original Patriots. Lowry will be accompanied by three local WWII Native American Veterans, whose stories were captured in the 270-page book. Loleta California native Lee Ann Duclo specializes in preserving and forging Native American Berries. After years of canning smoked salmon and native berries with her family, she launched her own business, Oceanside Jams. The company’s creations, including alal jelly, red huckleberry jam and thimbleberry jam, is a local favorite and very popular here in the Yurok Country Visitor Center. Taste these delectable treats for yourself in the Visitor Center on November 20, 2015 from 12pm-3pm. Yurok Discovery Village is located next to the Redwood Hotel Casino, directly across the street from the Yurok Country Visitor Center & Amphitheater. The park features a simulated traditional Yurok village and has been constructed using traditional materials such as redwood planks and Douglas fir poles. Learn More. 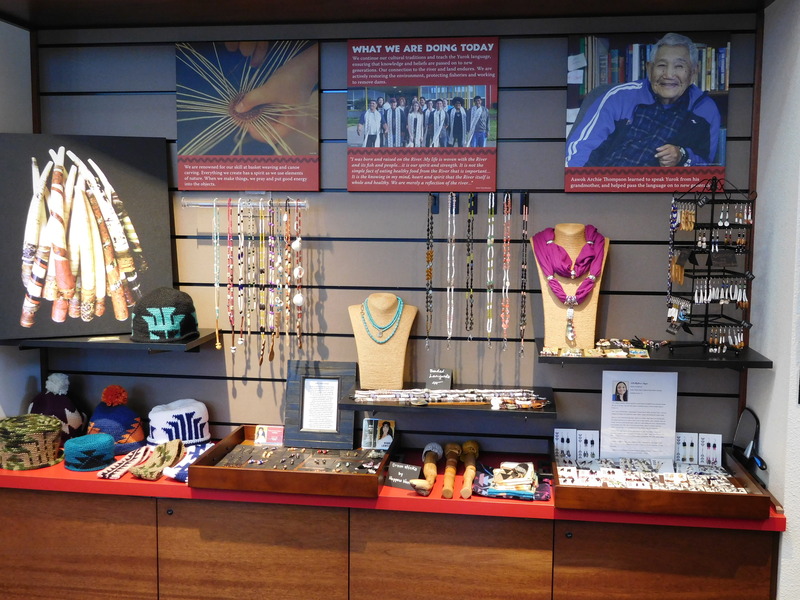 The Yurok Country Visitor Center offers one of the region’s largest retail displays of local Native-made jewelry and crafts. 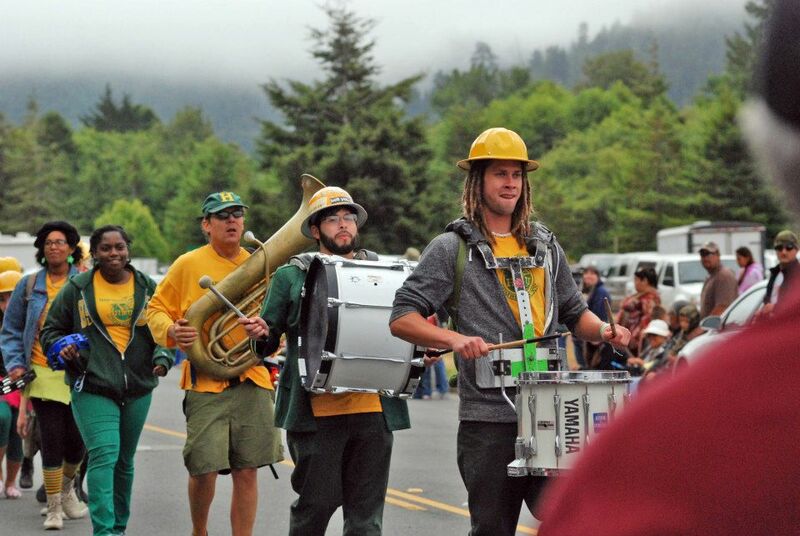 In addition, we promote area businesses and educate visitors about the history of the Yurok Tribe. Click here to see more photos from our newest inventory. 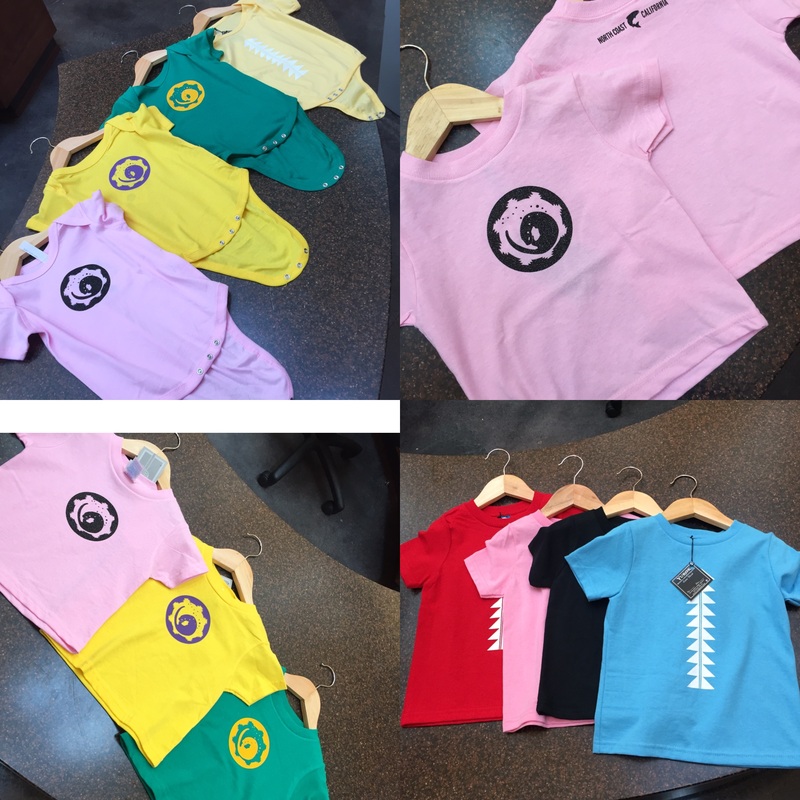 Better yet, stop by soon to see what’s new! We’re pretty sure you’re going to find that perfect gift. This traditional Yurok Style canoe was recently added to our collection at the Yurok Country Visitors Center. The canoe was built by ​George Blake (Hupa & Yurok) and was previously on display at the Yurok Tribal Office. This canoe is still used today in our ceremonies and also to teach the local youth and community our traditional paddling and water safety. After a very eventful summer, The Yurok Country Visitor Center & Amphitheater is transitioning into the fall season with new hours and more Native American cultural events and tours that are free and open to the public. 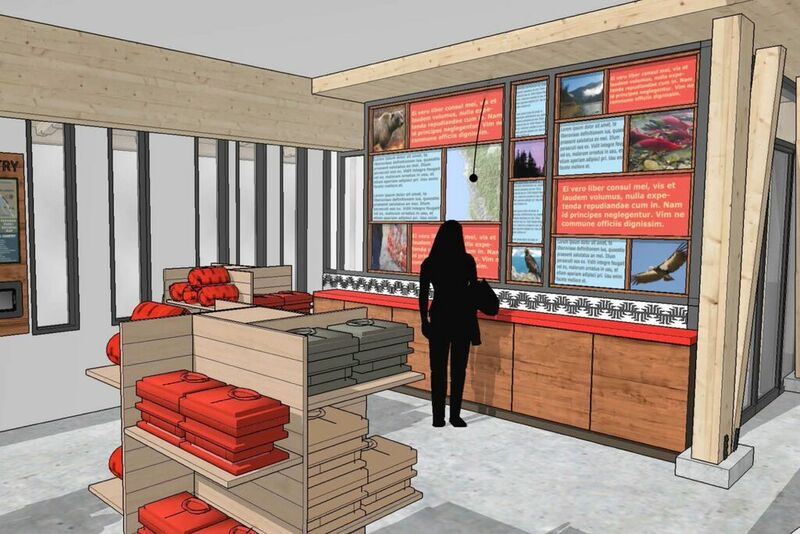 Our 3,500 square foot center features interactive exhibits to teach visitors about the Yurok culture and history along with one of the redwood region’s largest retail displays of local Native-made jewelry and crafts. Hands-on adventure guides are also available to help our guests learn more about the beautiful geographical attractions in the Klamath area and the Redwood National & State Parks. 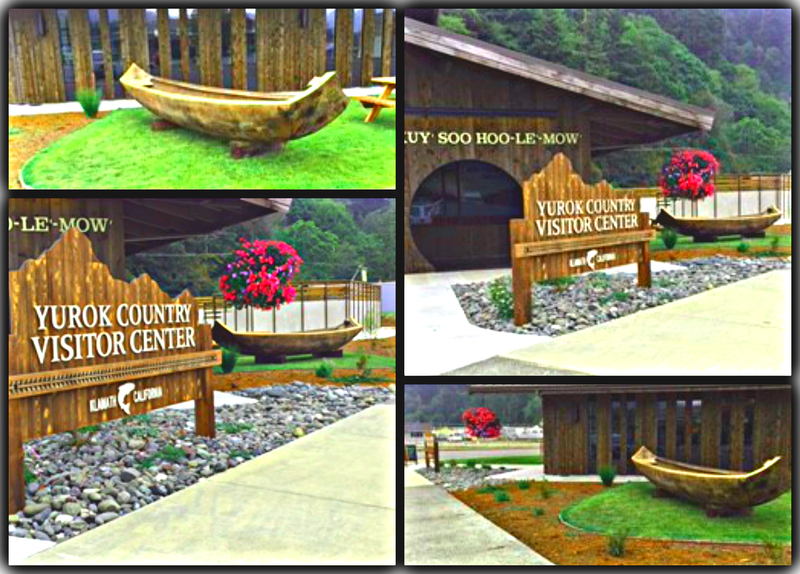 The Yurok Country Visitor Center & Amphitheater is conveniently located in Downtown Klamath, California- across from the Redwood Hotel Casino and Yurok Discovery Village. Please stop by and enjoy the opportunity to learn more about the fascinating Yurok history and traditions of the largest tribe in the state of California. Yurok Language & Cultural Specialist, James Gensaw, shares his passion and knowledge of Yurok traditions in a series of storytelling and educational events the whole family will enjoy. Mr. Gensaw is a renowned Yurok Language & Cultural Specialist, Teacher, Storyteller and Native Artist who has been featured in The New York Times, The LA Times, Smithsonian Magazine and again in this 2015 The New York Times article. As a young man, Gensaw developed a love for the Yurok language and culture from his grandfather who taught him the Yurok words for dogs, birds and other animals. Today, he works to preserve the Yurok language and traditions by sharing them through teaching and storytelling. 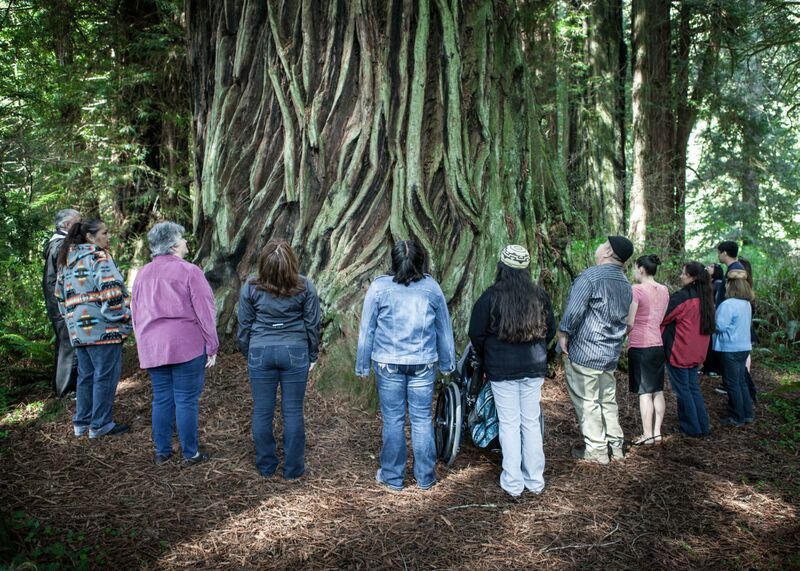 Yurok Tribe Member and storyteller James Gensaw shares the story of the connection between the Yurok people and the Redwood Tree that dates back hundreds of years. This special presentation is followed by a tour Yurok Village Discovery Park, directly across the street from the visitor center. Guided Tours of Yurok Discovery Village Thursdays at 3 p.m. The Yurok Country Visitor Center & Amphitheater continues to celebrate our grand opening by hosting a series of Native American cultural events this month you won’t want to miss. These enriching events are a not only free and open to the public, they are a great opportunity to learn more about the fascinating Yurok history and traditions of the largest tribe in the state of California. Wednesdays in August: 8/5, 8/12, 8/19, 8/26 11 a.m. & 3 p.m.
Don’t miss the classic tale, Red Breast Robin Story as told by James Gensaw each Wednesday in August at 11 a.m. & 3 p.m. The story will be followed by a tour of the brand new Yurok Village Discovery Park, directly across the street from the visitor center. This self-guided park features a simulated traditional Yurok village and has been constructed using traditional materials such as redwood planks and Douglas fir poles. Fridays in August: 8/7, 8/14, 8/21, 8/28 11 a.m. & 3 p.m.
Two Sessions on Friday, August 21, 2015 1 p.m. & 5 p.m. 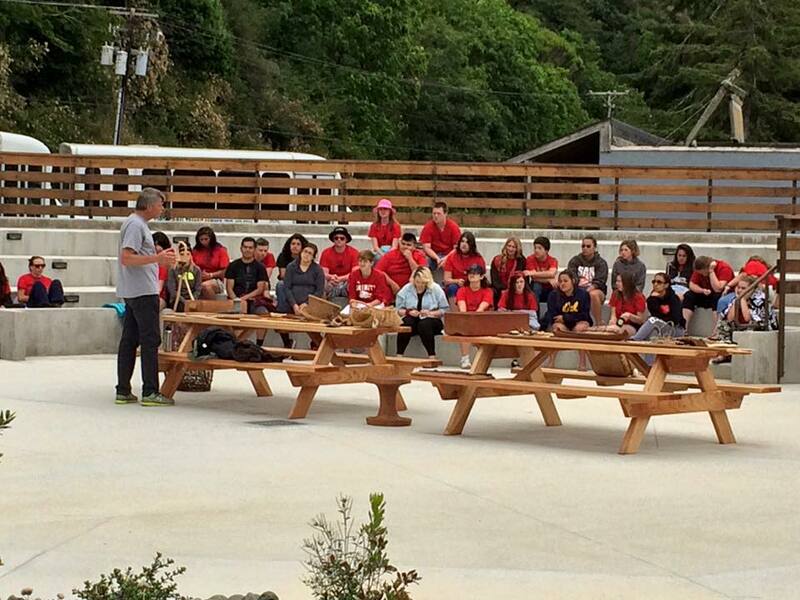 Please join us at the Yurok Country Visitor Center Amphitheater on Friday, August 21, 2015 when as Yurok Tribe members present a very special enrichment session about the traditional gambling game, a guessing game played in Northern California by the Yurok, Hupa, Karuk, Wiyot and Tolowa people. The event includes traditional storytelling and gambling demonstrations. 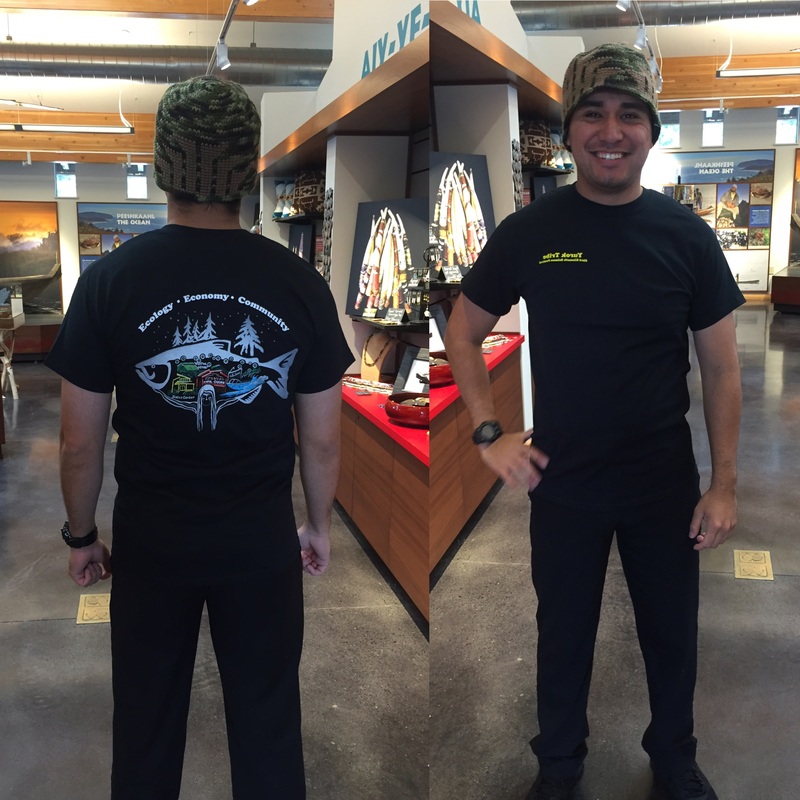 Join the fun as the Yurok Tribe hosts a competitive Gambling Tournament at the Yurok Country Visitor Center Amphitheater as part of the 53rd Annual Klamath Salmon Festival Saturday, August 22nd, 2015. Team sign ups are between 9:30 a.m. – 10:45 a.m. with the games starting at 11 a.m. There will be a $25 team sign up fee with proceeds going to the champions. The Yurok Tribe invites the community to the 53rd Annual Klamath Salmon Festival, Saturday August 22, 2015. This family-friendly festival is free and open to the public. The festivities kick off with a Veteran’s breakfast (free for veterans), held at the Klamath Community Center on Salmon Blvd, at 8:00am along with the 4th Annual Ney’ Puey 5K Run begins (sign up for the run begins at 7:00am). Visitors will also enjoy a Yurok Tribe, Cultural Demonstration, Stick Game Competition, Indian Card Games, Traditional Salmon BBQ, Vendor Booths, Children’s Activities, Food booths, LIVE MUSIC, Watermelon Eating Contest, Softball Tournament, Cribbage Tournament, Classic Car Show and more! For up-to-date information and to sign up for events visit www.yuroktribe.org/salmonfestival.htm. You can also follow our Facebook Page updates by clicking here. The 3,500 square foot center features interactive exhibits teach visitors about the Yurok culture and history along with one of the redwood region’s largest retail displays of local Native-made jewelry and crafts. Hands on adventure guides are also available to help our guests learn more about the beautiful geographical attractions in the Klamath area and the Redwood National & State Parks. The Yurok Country Visitor Center & Amphitheater is conveniently located in Downtown Klamath, California- across from the Redwood Hotel Casino and Yurok Discovery Village. This summer, plan a visit to the brand new Yurok Country Visitor Center & Amphitheater, conveniently located in Downtown Klamath, California- across from the Redwood Hotel Casino and Yurok Discovery Village. 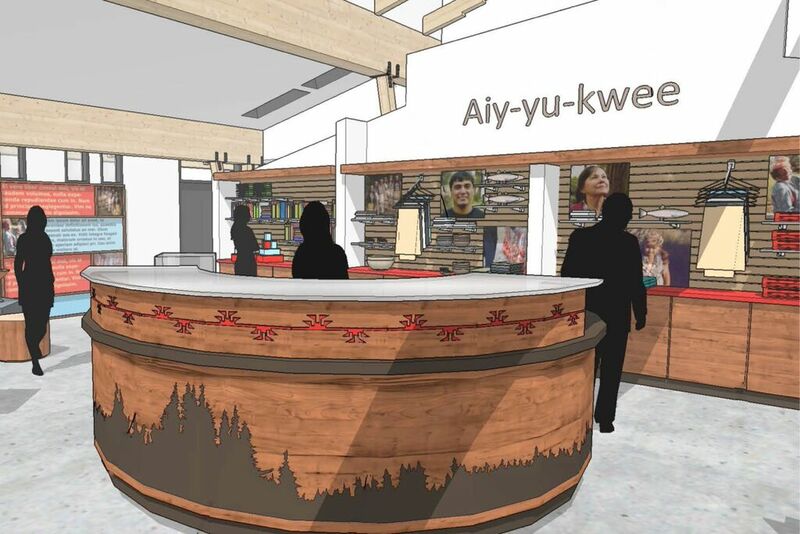 The 3,500 square foot center features interactive exhibits teach visitors about the Yurok culture and history along with one of the redwood region’s largest retail displays of local Native-made jewelry and crafts. Hands on adventure guides are also available to help our guests learn more about the beautiful geographical attractions in the Klamath area and the Redwood National & State Parks. 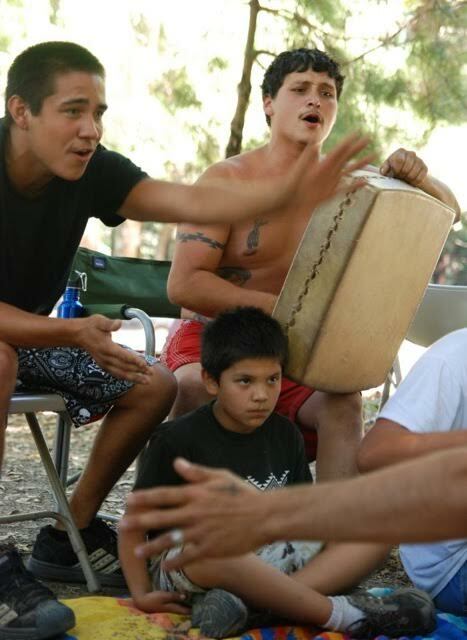 July 15th, July 22nd, July 29th 11 a.m. & 3 p.m.
Don’t miss the classic tale, Red Breast Robin Story as told by Yurok Language Specialist and Tribe Member, James Gensaw each Wednesday in July at 11 a.m. & 3 p.m. The story will be followed by a tour of the brand new Yurok Village Discovery Park, directly across the street from the visitor center. This self-guided park features a simulated traditional Yurok village and has been constructed using traditional materials such as redwood planks and Douglas fir poles. July 17th, July 24th, and July 31st 11 a.m. & 3 p.m. The first ever Native Craft Fair will be held at the Yurok Country Visitor Center on July 24th and 25th. 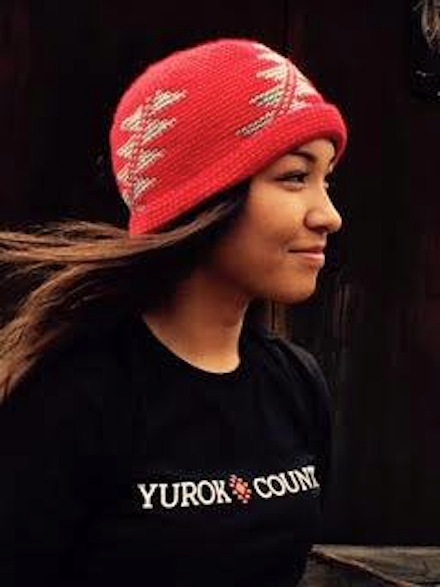 Vendors need to contact Madison Green at the Yurok Country Visitor Center (707) 482-1555 mgreen@redwoodhotelcasino.com. 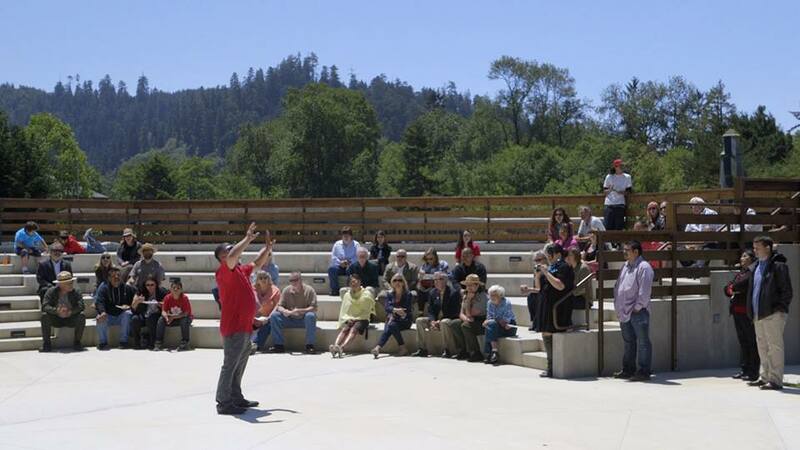 Yurok Country Visitor Center & Amphitheater Opens June 18th! The much anticipated opening of the Yurok Country Visitor Center is finally here! 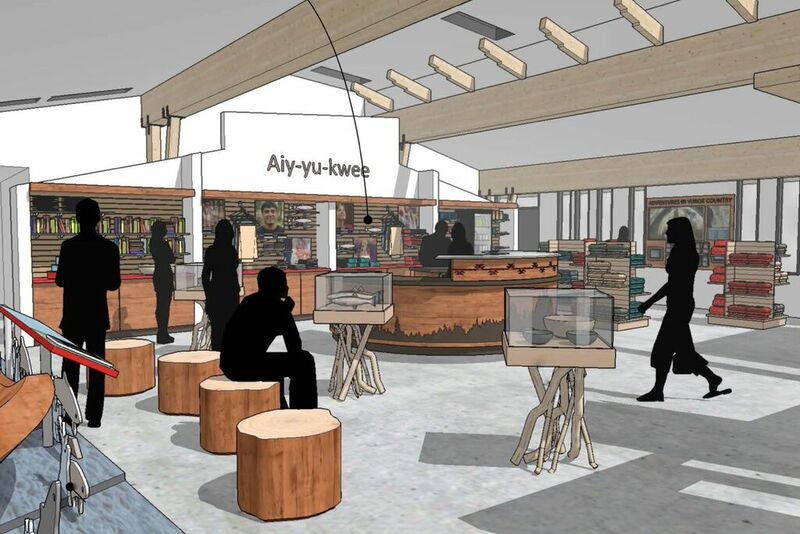 The facility, opening to the public June 18th, will be the hub for tourist information and local businesses while educating visitors about the Yurok Tribe’s Heritage and culture. Come and learn about the ancestral lands of the Yuork people, including much of the coastline near present day Klamath, extending up the Klamath River for over 40 miles. 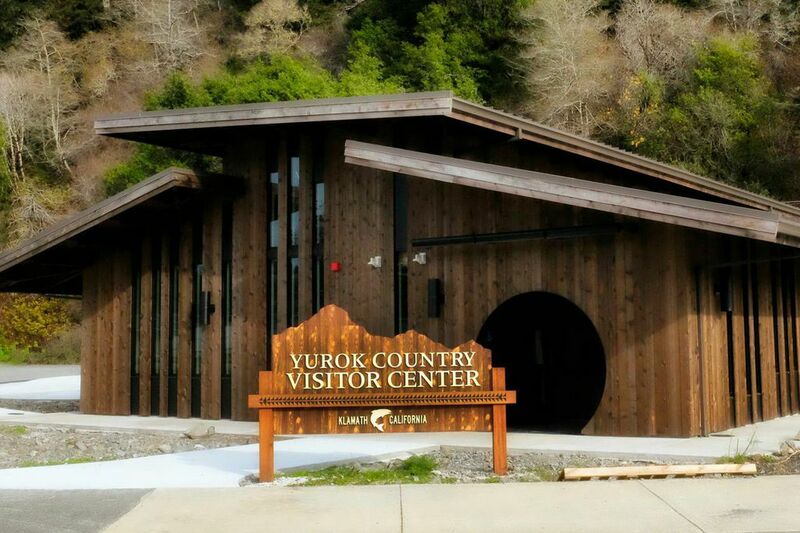 The Yurok Tribal Council and Yurok Visitor Center are hosting an open house and ribbon cutting ceremony on Wednesday June 17th from 12 p.m. to 3 p.m. which will include a cultural talk in the amphitheater, cake and light refreshments. The approximately 3,500 square-foot Yurok Country Visitor Center is located in Downtown Klamath on the corner of Klamath Blvd and Klamath Circle and is within walking distance from Redwood Hotel Casino. The location is also in the heart of Redwood National and State Parks, home to some of the last remaining old-growth redwoods on the planet. In keeping with traditional Yurok design and building practices, the new facility incorporates green building design and materials with renewable energy resources including solar, wind, and geothermal heating. The already lush area is beautifully landscaped with local native plants and interpretive signage indicating the native Yurok use of the plants. Visitors will also be welcome to explore the brand new Yurok Village Discovery Park, directly across the street from the visitor center. This self-guided park features a simulated traditional Yurok village and fish cooking pit for private events. The village has been constructed using traditional materials such as redwood planks and Douglas fir poles. The Park also includes an outdoor gathering circle (amphitheater), walking trails, canoe carving area, handicapped accessible restrooms, outdoor lighting, paved parking areas and access roadways. The cultural park will provide a space for Tribal families to provide for an interchange of Yurok culture and history to current and future generations. ©2019 Visit Yurok Country All rights reserved.